Now, that’s more like it. 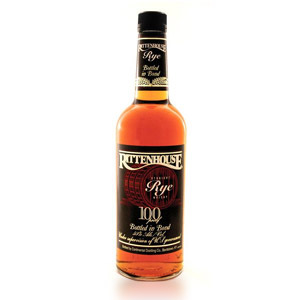 I bought a bottle of Rittenhouse 100 rye purely on a recommendation, and I think it’s a fantastic dram for an even more fantastic price. All rye whiskies share a similar flavor profile, full of baking spices like nutmeg and cinnamon, as well as black and white peppers and middle-eastern spices like cumin, clove, etc. This one is no exception, and is bottled at 100 proof (50% ABV) to boot. It is bottled in bond at approximately 6 years old. 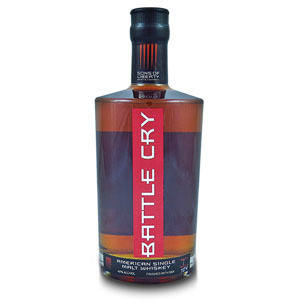 Shame on Heaven Hill Distilleries for not providing a website – or even a page on their own website – for this brand. Nose: Cinnamon, clove, black pepper. Big spicy rye presence without too much nose tickle. Smooth and peppery. A little sweet overtone of marshmallow and black cherry. Also there’s a big oak influence – verging on woody. A few drops of water seem to dull the nose. Palate: Medium body without much heft. The higher proof makes itself felt on the tongue, but quickly gives way to smoke, with charred wood upfront and a suggestion of smoked meat. Next there is a range of tobacco, clove, cinnamon, allspice, and brown sugar. A crackling Thanksgiving turkey comes to mind, or a pumpkin spice latte. Finish: Long, evolving through spiced chai, vanilla, black tea and a lingering ghost of spent charcoal and, of all things, spearmint. A very nice progression, without any bitterness. The water coaxes out an extra few sweet notes – butterscotch hard candies and birch beer. Overall: A tasty, satisfying dram. The smoky and peppery tobacco notes balance very well with the sweeter chai and brown sugar notes. It does not have the overbearing sweetness of some bourbons, nor the acrid dryness of some ryes. Not ground-breaking, but very much worth the price of a bottle. This is the kind of “ah hah!” flavor that brings life to the “American whiskey is a good value” adage. It’s certainly not true of several whiskies I’ve tried recently, but this one almost makes up for all of those. 😉 If you’re curious about rye and want to taste a good one without shelling out for something top-shelf, get a bottle of this. yup, definitely one of the better quality/value whiskies out there. if i’d known you were interested in inexpensive ryes, i definitely would have recommended this one. 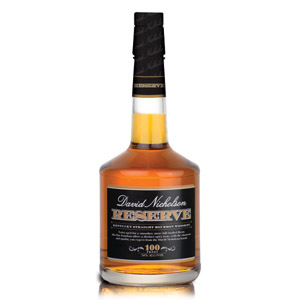 i think this baby, along with wt 101 and weller 12 are the perfect trio of quality american whiskies under $20/bottle. Yes. A good rye whiskey and a reasonable price. And I have been drinking whiskey long enough to remember when one could buy a 5th of good whiskey in this country for under $5. Better than Old Overholt. No as good as Whistle Pig, but 1/3’rd the price of Whistle Pig. This is not for people that are curious about rye. In my opinion, this bottle is way different than a typical rye. Redemption Rye is a basic rye that people who are economical and curious about rye should give a shot. If you want to spend a little more and get a rye more robust in flavors, Bulleit Rye is the best bang for your buck in my opinion. This rye is a smokey rye which seems very rare from my tastings. Its an interesting taste, but personally I’ll stick to Islay and Connomera when I’m trying to drink a smokey whisky. I consider Rittenhouse good not great. 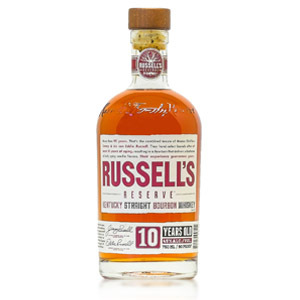 A reviewer above mentioned Whistle Pig…that’s my favorite rye but pretty costly. Jefferson’s rye is cheaper and offers some of the same notes as Whistle Pig, although the finish isn’t as titillating. I understand that the quality of this one took a dive a couple years ago when they apparently changed to a different distillery due to a fire at the old place. 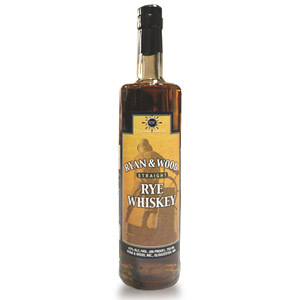 Any updates to your review on this rye whiskey? Got a bottle this week. I’ve only tasted it once so far. It really has something going right in it, but there is still that $20 bottle flavor of harsh alcohol (yes it is 100 proof, I know). I’m going to go back and re-evaluate it once it has been opened a bit, and let it sit in my glass a bit to breath before I taste it. Aside from the harshness it isn’t undrinkable (even neat) and you can certainly pick up a lot of great flavors. Overall I’d say this is something I’d LOVE to try after a few more years of aging. They have something special in the bottle that I think they sold short by pulling it out of the cask early. There used to be a lot of older Rittenhouse ryes on the market (I’ve seen a 21 year), but they all got snapped up when old American whiskey became desirable, and now all you can find is young stuff. Take a look at Hochstadter’s Rye… these days I alternate between that and the Rittenhouse as my “go-to” inexpensive rye in my cabinet. They both have something different to offer. Cheers!